Michael joined Beaufort in 2017 as the Professional Standards Manager responsible for the training and development of the Financial Advisers within the group. Additionally, in 2018 Michael also took on responsibility for the Beaufort Paraplanning offering. Michael's Key role is to support the advisers in their businesses with onboarding, inductions and training for them and their teams. 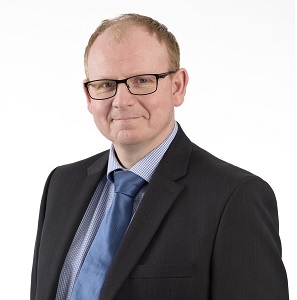 Michael started his career in financial services working with Eagle Star and has now worked in the industry for over 20 years having worked in varying roles but normally with a technical or training focus. He is particularly proud of the work he completed for his former employer Fidelius where he created and implemented a new Training and Development scheme for the advisers and paraplanners. In his spare time Michael plays the guitar and spends as much time as possible at gigs seeing his favourite bands. Being from Cheltenham he also enjoys days out at the races.